Dry skin is something you cannot ignore by simply applying a moisturizer frequently to get rid of that tight and flaky skin. 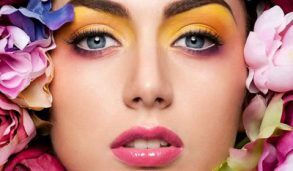 It is really a matter of concern as if it is not given proper care; it may leave your skin dull and unhealthy for long. 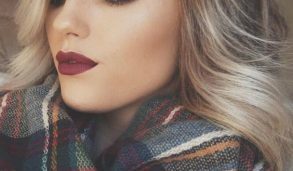 People with dry skin find it hard to deal with the situation during the colder weather. Sometimes, using harsh skin care products and not taking proper care of your skin may also leave your skin dry and dehydrated. We all know that dry skin requires special care to keep it from drying. 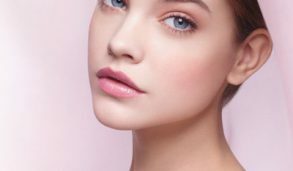 No matter, what the reason is, but you can find numerous best skin care products for dry skin that keeps you from long-term effects on your skin. 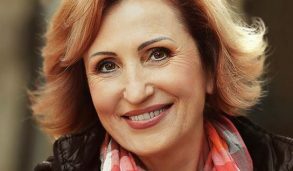 In this article, we would like to help you by sharing a few skin care products which are highly recommended to keep your skin from feeling dry and dull. Let’s start with the list of products that can be considered based on your skin condition and preferences. This moisturizing cream gives your skin a new life by keeping it away from dryness and dullness. It is formulated with a non-greasy formula that not only protects and nourishes your skin but also moisturized it with long-lasting hydration. If you are looking for the best skin care products for dry skin that ensure to restore and maintain the skin’s natural skin barrier, this cream is highly capable to meet your needs. It has the ability to keep your skin moisturized for 72 hours. The regular use of this cream leaves your skin fresh, soft and more radiant. This is what all you want for healthy skin. The cream also gives an excellent result on other skin types as well. Simply apply it on your face and neck after cleansing and toning. 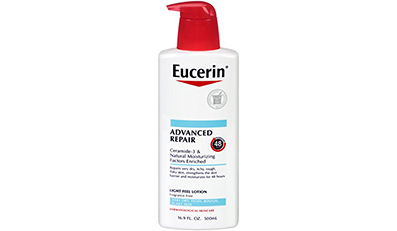 Being one of the bestselling products to treat dry skin, it is a one-solution for super sensitive and irritant skin. You will sure observe huge improvement in your skin over the time. 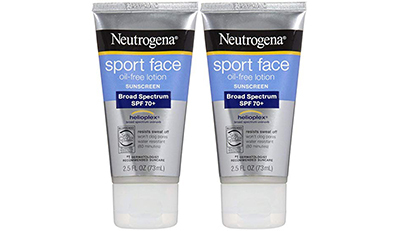 The purpose of introducing this face cream with SPF 15 is to provide an effective solution to dry and sensitive skin. 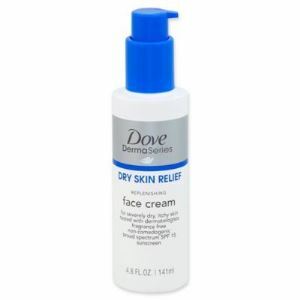 The cream is completely formulated without fragrance, parabens, and sulfates, so if you want something that does not irritate your dry skin, this Dove product helps you to soothe and plump your skin. Even if you have severely dry skin, its fast absorbing formula moisturizes your skin quickly and gives relief from the excess dryness. It is capable of keeping your skin moisturized for up to 12 hours, thus does not require treating dry skin after every small period of time. Good news for those who have psoriasis and eczema-prone skin as this cream is highly suitable for such skin conditions as well. The ingredients like amino acids and niacinamides give aid to the itchy skin. 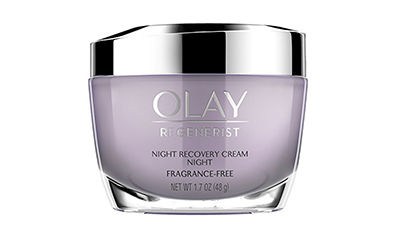 This award-winning moisturizer protects and prepares your dry skin for the day ahead. It is another one of the best skin care products for dry skin that works effectively in cleansing, hydrating and soothing your skin. 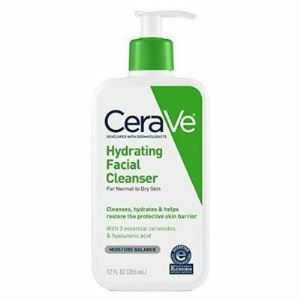 This cleanser contains three essential ceramides that help in restoring the protective skin barrier, as well as hyaluronic acid that helps in attracting hydration to the skin’s surface. It gives you a highly beneficial solution to treat chapped and irritated hands, itchy skin, psoriasis, and eczema prone skin. It also helps in restoring skin’s natural moisture. The non-comedogenic formula does not let your skin to clog pores. Thus, helps to prevent a number of skin issues that may arise as a result of blocked pores. It is highly gentle on dry skin and removes dirt, oil and even makeup without irritating your skin. Being suitable for normal to dry skin, it provides essential nourishment to the skin all through the day and night. To feel comfortable in your own skin, you can try CeraVe facial cleanser to have fresh and smooth skin. After all day long struggling with environmental stress and busy schedule, your skin loses moisture, resulting in dullness and poor complexion. More busy you are, more moisture your skin loses. So, to retain the moisture, this overnight face mask works deep inside your skin and build a reservoir for the next day. It is a perfect face mask for dry skin, where you have to deal with the dehydration and premature aging signs and looking for the best skin care products for dry skin to treat such conditions. Dry skin is always thirsty for moisture; therefore, this overnight mask enriched with avocado and apricot kernel oils enables your skin to fight against tomorrow’s environmental aggressors. It is recommended to use it twice a week and every time you apply it on your skin, you will wake up with surprising results, such as more hydrated skin, and refreshed complexion. Some of you might not require anything to apply in the morning after washing your face. This dry skin cream is highly effective as a hydrating and rich facial moisturizer, which is easily absorbed by the skin without leaving it greasy. It hydrates your skin deeply and reduces dryness expressively. 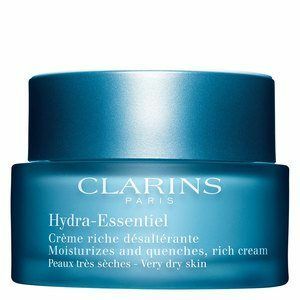 This moisturizer is dermatologist tested and treats your dry skin effectively without clogging your pores. The regular use will give soft, smooth and radiant skin, which people with dry skin always dreams of. Even if you are looking for a cream to prevent your makeup being cakey, this cream can be used under makeup without leaving it overloaded. Simply massage it gently on your face and neck. A little amount is enough to bring amazing results, so in other words, we can say that it gives value for money when a little goes a long way. It is a perfect moisturizing solution for winters. Make sure not to take too much amount to apply as it may make your skin little greasy. So, little is better for a big outcome. 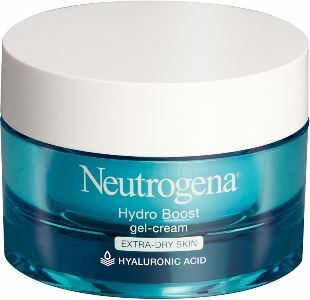 It is found that this gel cream from Neutrogena is somewhat preferred by many people struggling with their dry skin. It is highly powerful in keeping your skin supple and hydrated every day. It contains hyaluronic acid that works like a sponge for your highly dry skin cells and provides a high amount of moisture to the skin, and olive extract that helps in leaving your skin soft and smooth. It has the long-lasting moisturizing control that treats and hydrates your extra-dry skin effectively. 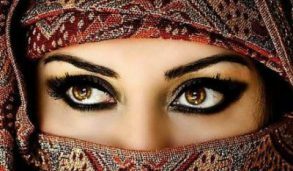 Every time you will use it, you will observe a great difference in your skin, i.e. no tight or coated feeling. It works for many hours and keeps your skin moisturized, hydrated and smooth for long. It has oil-free, fragrance-free, dye-free and non-comedogenic formula that keeps your skin hydrated for up to 48 hours. The powerful benefits of this daily face moisturizer have made it highly potential to gain its position in the list of the best skin care products for dry skin. If you have dry skin that flakes and peels, this moisturizer can treat your skin and prevent it from getting dehydrated and dry patches. It brings highly effective results even if your skin is super-thirsty. 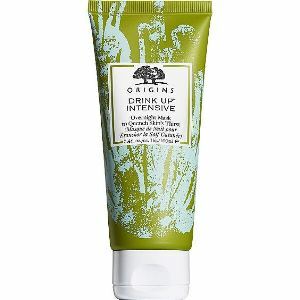 The ingredients such as botanical extracts help your skin to retain the hydration while keeping it calm and soothe. It also contains the organic and natural ingredient, succulent plant extract, that works in revitalizing the natural hydration of the skin and helps in retaining moisture in any environment. 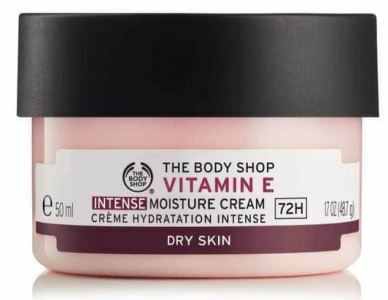 As it is formulated without parabens, this cream is a perfect product for dry, skin and normal skin type. This rich cream is something that gives a perfect solution to get rid of redness, dullness, dryness and even helps to treat uneven texture. It provides a shield from the causes that leave your skin dry and dehydrated, such as pollution, dirt, environmental changes, and stress. This product does wonders and you will sure love it. Looking for a face scrub formulated with natural and organic ingredients for your dry skin? 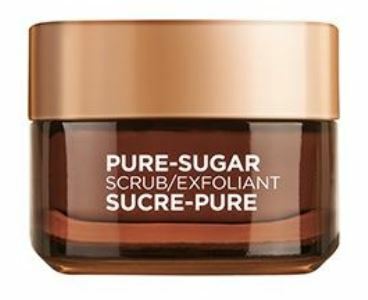 This face scrub from L’Oreal is highly efficient that can be added to your skincare collection. It is formulated with 3 types of pure sugars – brown, blonde and white, and finely crushed cocoa, coconut oil and rich cocoa butter that gives amazing results to exfoliate face and lips and leave them smooth and soft. This face scrub is considered as one of the best skin care products for dry skin and is highly recommended as compared to other similar products. The scrubbing particles of sugars easily melt into skin without leaving it irritated, thus gives effective exfoliation method. It removes dirt, oil and other pollutants, and gently works on dull skin. You will observe the immediate effect on your skin when you feel it fresher and rejuvenated than ever before. For best results, it is recommended to use it three times a week. Get healthier, smoother, polished, and glowing skin and lips with this wonderful face scrub. 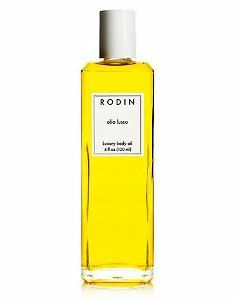 For a beauty splurge, if you are looking for some kind of body oil to help you moisturize the whole body, this softening body oil from Rodin is something you should not miss. This luxury body oil is a mixture of several kinds of oils. It is celebrity-loved oil that gives unbelievable benefits to your dry skin and keeps your skin moisturized for long hours. We know that people love products with the ability to prevent dryness all over the body instead of using different products for different body areas. This is the reason; we have recommended this oil as the best skin care products for dry skin. Simply add a few drops of this oil to your bathtub and boost the skin’s moisture level in the whole body. You can even apply it on your moist skin after bathing. It provides attention to the body that actually it needs to retain the moisture and hydration. It is highly capable to bring your skin to dewy radiance in any weather condition. Want a moisturizer that does not only work on the face but can moisturize other areas as well? 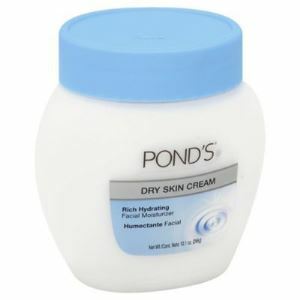 This cream is helpful to give relief and long-term hydration to dry and distressed skin. The key ingredients, colloidal oatmeal, shea butter, and Allantoin are highly effective in providing relief from itchiness and irritation caused by several skin conditions. They also help in moisturizing and protecting the skin barrier, as well as in calming and soothing skin. It is highly effective to increase the hydration immediately once you apply it. The main benefit of this cream, it can be used by people of any age, even suitable for children and babies. Get rid of those dry patches and creepy look with its regular use. We understand how much dry skin can trouble you, mostly in the winter season. 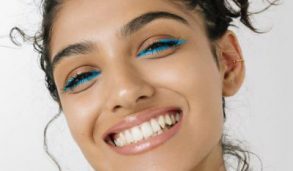 To give you relief from flaky, itchy and tight skin, we have collected this list of the best skin care products for dry skin. You do not need to spend most of your time in treating dry skin, where a little bit of care by using the right product in the right quantity can be highly beneficial for long-lasting hydration. 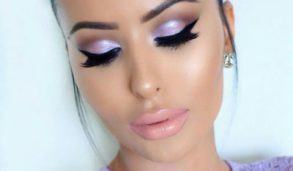 It is not really hard to figure out what would work excellent for your skin because all of these products ensure to calm your skin by building and maintaining the skin’s natural hydration. Try the most suited cream and get clear and healthy skin.